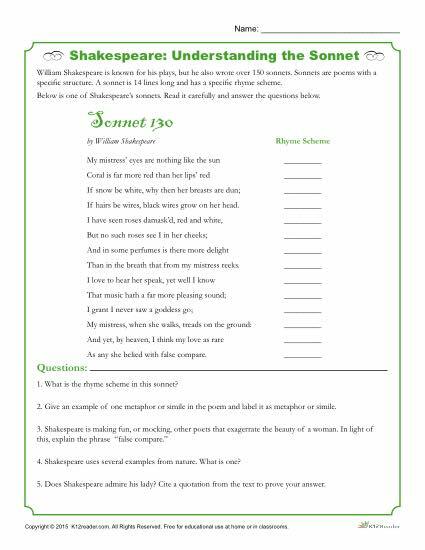 Better understand sonnets using this worksheet on one of Shakespeare’s works. Students will read through “Sonnet 130” by William Shakespeare, determine the rhyme scheme, and answer questions about the passage using what they’ve learned. This activity is ideal for 7th-10th grade students.